Save money with teva’s generic. Save up to $30* per carton. *Commercially insured patients may save up to $ 30 out of pocket per carton, up to a maximum of three (3) cartons per prescription. This offer is not available to non-insured/cash-paying patients, nor patients eligible for prescription coverage by any state or federally funded healthcare programs. Maximum reimbursement limits apply. Patient out-of-pocket expenses may vary. Please see full Terms & Conditions for more information. Savings options that give you room to plan. Concerns about cost holding you back? With Teva's Epinephrine Auto-Injector, you may choose to create an emergency plan that includes keeping auto-injectors in multiple locations. Ask your healthcare provider if keeping an additional auto-injector at work, school, or any other location is appropriate for you. Wherever you choose to keep your auto-injector(s), make sure your family, coworkers, or caregiver(s) know where to find it and how to use it. How to store the auto-injector. 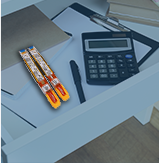 Store the epinephrine auto-injector at room temperature between 68° to 77° F (20° to 25° C). Protect the auto-injector from light and do not expose it to extreme cold or heat. For example, do not store in your vehicle's glove box and do not store in the refrigerator or freezer. Examine the contents in the clear window of your auto-injector periodically. The solution should be clear. If the solution is discolored (pinkish or darker than slightly yellow) or if it contains a precipitate, replace the unit. Always protect your auto-injector from damage and water. Keep the blue safety release on until you need to use the auto-injector. Keep this, and all medicines, out of reach of children. Of course, manufacturers still must show the FDA that the generic performs the same as the brand-name medicine. Sign up to get a heads-up on your next refill. Please complete the form below to register for refill reminders. Customers are responsible for providing accurate information about their epinephrine auto-injectors and the expiration dates. I have read and accept the Legal Notice and Privacy Notice. I authorize Teva Pharmaceuticals USA, Inc. (“Teva”), its affiliates and companies working with Teva to contact me by direct mail, email, telephone, and electronic message (including autodialed and prerecorded calls and messages) for marketing purposes, such as to provide me with information, offers and promotions regarding allergic reactions, Teva products, and programs, to conduct market research or surveys, and to use my information to develop future products, services and programs. Thanks for taking the time to sign up. Your reminder email will arrive before your auto-injector expires. Be sure to update your email settings so you don't miss the email from Teva. Terms and Conditions: Only commercially insured patients are eligible for this offer. Patients are not eligible for this offer if they are eligible to have prescriptions paid for in part or full by any state or federally funded programs, including but not limited to Medicare, Medicaid, Medigap, VA, DOD, TRICARE, or by private health benefit programs which reimburse for the entire cost of prescription drugs. This card is not valid for patients who are Medicare eligible and are enrolled in an employer-sponsored health plan or prescription drug benefit program for retirees (i.e., patients who are eligible for Medicare Part D but who receive a prescription drug benefit through a former employer). Cash Discount Cards and other non-insurance plans are not valid as primary under this offer. If the patient is eligible for drug benefits under any such program, the patient cannot use this offer. By redeeming this card, the patient (for a minor, the patient's parent or guardian) acknowledges that the patient is eligible and understands and agrees to comply with the terms and conditions of this offer. Void if copied, transferred, purchased, altered, or traded and where prohibited and restricted by law. This is not an insurance program. This offer is restricted to residents of the United States and Puerto Rico. This offer may be changed or discontinued at any time without notice. This offer is limited to one per customer and may not be used with any other discount, coupon, or offer. This offer expires on September 30, 2019. This program is managed by ConnectiveRx on behalf of Teva Pharmaceuticals USA, Inc. The parties reserve the right to change or discontinue this offer at any time without notice. If you have any questions regarding your eligibility or benefits, please call 1-833-210-5451. To the Patient: This card must be presented to the pharmacist along with your Epinephrine Auto-Injector 2-Pack prescription to participate in this program. 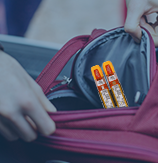 Commercially Insured Patients: Commercially insured patients with coverage for the Epinephrine Auto-Injector 2-Pack may save as much as $30 on out-of-pocket expenses for each Epinephrine Auto-Injector 2-Pack carton, up to a maximum of three (3) cartons per prescription. Teva will pay up to $30 per carton of your co-payment or cost-sharing obligation per fill. Maximum reimbursement limits apply and patient out-of-pocket expenses may vary. Cash-Paying Patients: Non-Insured/Cash-Paying Patients are not eligible for this offer. To the Pharmacist: By redeeming this offer, the Pharmacist certifies that the Epinephrine Auto-Injector 2-Pack is being dispensed to a patient eligible for this offer in compliance with these terms and conditions, and the Pharmacist has not submitted and will not submit a claim for reimbursement under any federal, state, or other governmental program for this prescription. Void where prohibited by law. Pharmacy Instructions for Commercially Insured Patients: Submit this claim to Change Healthcare. A valid Other Coverage Code (e.g. 8) is required. For each Epinephrine Auto-Injector 2-Pack carton, Teva will pay $30 per carton, up to a maximum of three (3) cartons per prescription. Payment will be received from Change Healthcare. Pharmacy Instructions for Uninsured Cash-Paying Patients: Cash-Paying Patients are not eligible for this offer. Valid Other Coverage Code required. For questions regarding processing, please call the Help Desk at 1-800-422-5604.